CastleStorm features an arsenal that would make any medieval warrior proud! Harness the power of medieval ballista weaponry, and launch an assortment of explosive weapons including Morningstars, Apple Grenades, Homing Eagles, and even flying sheep (yes, really!) to defeat an onslaught of enemies trying to capture your flag and destroy your castle. 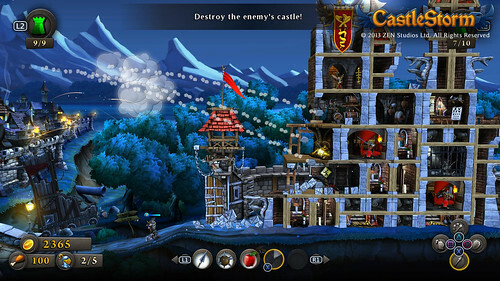 Deploy a fearsome ground attack of swordsmen, knights, and donkey riders in order to protect your castle games, and if all else fails, call upon powerful spells to help keep the enemy at bay. See you on the battlefield on 6th November! We here at Punk and Lizard are really looking forward to this one, not long to wait too!